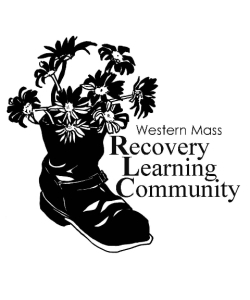 The Western Massachusetts Recovery Learning Community (RLC) supports individuals in finding their own paths to mental health recovery within the communities of their choice by offering trauma-sensitive peer supports and through the development of a regional peer network. The Western Mass RLC is entirely peer-run and is active in all four counties – Hampshire, Hampden, Berkshire, and Franklin – of Western Massachusetts. As a peer community, everything we do is based upon the voiced needs of our friends and neighbors. Our guiding council, consisting of peers from all parts of Western Mass and has provided us with excellent direction and guidance as we build this community together. Currently the RLC consists of a central Resource Connection Center (RCC) in Holyoke where much activity takes place, with satellite centers in Springfield, Pittsfield and Greenfield. Workshops and trainings are made available elsewhere in the region, advocacy support, and resource sharing whether by our toll free phone number (866-641-2853), our e-mail lists, or on our website: http://www.westernmassrlc.org/.